WHAT IS DOMESTIC VIOLENCE, DOMESTIC ABUSE? 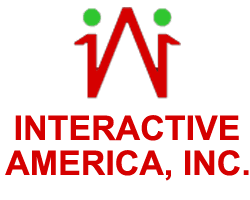 - Interactive America, Inc.
We provide immediate assistance to victims of domestic violence and put them on the path to independence at this 24-hour shelter specifically designed for women and children escaping domestic abuse. The center provides everything from health referrals, counseling, and transportation to GED certification programs, parenting classes, employment assistance, and permanent housing placement. We also offer children a nurturing environment in a therapeutic preschool program. The location of the facility is kept private for the safety of our clients. Only 34% of people who are injured by intimate partners receive medical care for their injuries. When you give to Interactive America, you provide funding for programs that help families escape domestic abuse. When you give to Interactive America, you provide funding for programs that help families escape domestic abuse.